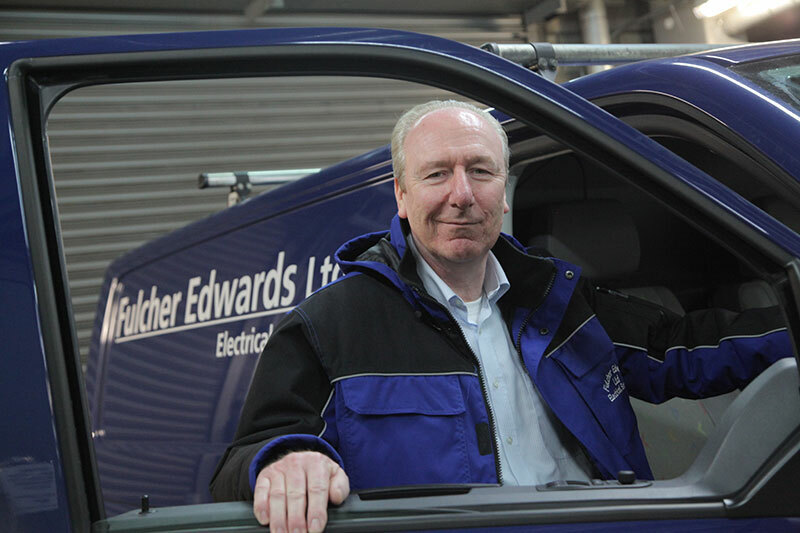 After a fully trained electrical apprenticeship and enough experience as an electrician, Managing Director Michael Fulcher decided to start his own company in 1981. Due to its success and growth Fulcher Edwards then went on to become a limited company in 1994. Michael is a City & Guilds 17th Edition qualified electrician, NICEIC Qualifying Manager and will most likely be the person you meet should a pre site visit be required or should you need guidance on the British Standards. Our team in the office all help to make the Fulcher Edwards the success it is today. We are a family run business and all have our part to play and can all equally assist with any enquiry. 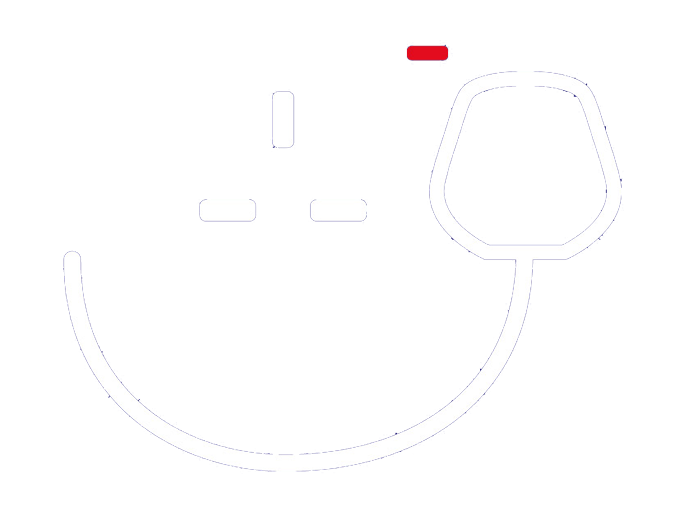 We work closely with our electricians and suppliers to make sure you receive the best service. Are electricians also play a very big part in the success of the Company and have to pass a very strict requirement process in order to work for our Company. All our electricians are friendly and polite, and will treat your property with the upmost respect. They are also happy to answer any queries that may arise at a job. If for some reason they are unable to help, then a call to the office is all that is needed usually. All our electricians are City & Guilds qualified, wear company uniform, and carry company ID on them. We have some electricians that are DBS checked too so please let us know if this is a requirement for your business. Regular industry and Health and Safety training gives you peace of mind that our electricians are professional and will carry works out to current British Standards. We ALWAYS let you know the name of the engineer attending so you know who to expect at your property and inform you of any changes. We try and send the same engineer to your property each time so you get to know them and they know your property. Fulcher Edwards Ltd only uses suppliers of the same calibre. This ensures that the materials and services we use are of the same high standard as our works. For services carried out by a Subcontractor, we ensure checks are carried out for relevant industry standards, insurance and Health and Safety standards. All quotations issued by Fulcher Edwards Ltd are free and come with no obligation. A breakdown can be provided upon request for labour and materials but this will be in the form of these two figures only unless a Bill of Quantities has been provided. Our quotations are valid for 3 months only. If instructions are given after the 3 month period then costings may have changed for materials if our wholesaler has increased their prices. If we have not heard from you with 4-8 weeks then a courtesy email is usually sent asking if the quotation is still to be considered or if it should be archived. Once instructions are given, our team will liaise with you to book the works in for a date that suits you. Depending on how much time is needed to complete the works we may offer you a morning or afternoon time slot. Please note we have to book works in within our normal working day unless quoted for outside our normal working hours. It is the responsibility of the client or clients representative to ensure that they have understood what has been quoted for within the quotation supplied by Fulcher Edwards Ltd. All queries are to be raised prior to works commencing. We will not be held responsible for the items not included within the quotation but have been assumed by the client or the clients representative. Cancellation of any booked works needs to be given to our office ASAP. We reserve the right to apply an aborted charge or charge for any labour we are unable to relocate in time due to late notice given. If materials have been ordered prior to cancellation, then we reserve the right to forward on any restocking charges from our wholesalers which may vary from 5%-100% depending on the materials. If works are to be rescheduled, you may be charged for the materials that we will be holding until the revisit takes place. Should any works be aborted due to no fault of our own then an aborted charge may be issued. Any materials we use are covered by manufacturer’s warranty, which can vary in length and terms. We have a 20% mark up on all materials we supply. We will remove any waste from site generated from our visit which was supplied by us, and our electricians will ask you where you would like them to put any other waste. It may be possible for us to take all waste if required but charges may apply depending on the waste so please speak to our office to find our more. All work that we carry out is covered by our workmanship guarantee for which your invoice states as a reference. This guarantee is valid for 12 months from the date that our works are completed. Please note should we find a fault during our visit which is not related to our previous works then we will apply our usual hourly labour rates to the visit. We have public liability insurance with ‘Hiscox’ to the value of £10,000,000 for each occurrence. We take pride in our accreditations and hope to gain many more along the way as the company grows. We can also provide self-certification within Part P building regulations. We are also members of the Federation of Small Businesses. If it works out more cost effective, then we may revert to our half day or full day rates. Any non stock materials that require collection will be charged at our standard rates. Upon completion of works we will issue you with an invoice for immediate payment unless other arrangements have been made with our accounts team. Our invoices are sent via email and come as an attachment and as a link from our preferred accounts package which gives our customers various card payment options, as well as the choice of PayPal. Alternatively, card payments can be taken over the phone by calling our office but I’m afraid we do not take AMEX card payments currently. We also accept BACS payments, bank transfers and cheque payments as long as its within our payment terms. Please note that all materials remain the property of Fulcher Edwards Ltd until full payment has been received. We also reserve the right to send late payment reminders as often as required and take necessary action if needed. St. Albans, Watford, Radlett, Elstree, Hampstead, Islington, Kensington, Clerkenwell, Mayfair, Westminster, Waterloo, Clapham, Wimbledon and more.